It’s finally arrived. Today marks the first major leg of my road trip – about 8 hours from Naples, Florida to Atlanta, Georgia. Due to my time constraints with packing and getting on the road on time, I’ll write a smaller post today about a common string of questions I get when doing a road trip: Don’t you get so tired that you almost fall asleep at the wheel? Doesn’t it kill your body to sit for that long? Are you crazy?! Yes, yes, and definitely yes. Road trips are my favorite way to travel, as I talked about in my last post, but I’m not here to tell you that they’re never challenging. Without a doubt, every single day, I’ll have to stop for a coffee or two along the way and take a break at several rest stops to stretch my legs and walk around. Each night before I go to bed, I’ll do a brief yoga sequence to stretch out my neck, back, wrists, and legs – spots that get impossibly painful after days in a car. It also helps to relax my mind by reading or meditating nightly, because, as we all know, driving can have its majorly stressful moments. I should know - on a road trip with my Dad several years ago we flipped our SUV multiple times in a heavy rain storm! But, in my opinion, the most difficult aspect about road trips is the mental exhaustion that comes on without warning. My body might be completely alert and wanting to drive, but my brain will spontaneously decide that it wants to go into hibernation mode. Even though I’ve been trying to avoid coffee in my life recently, it must be a staple on my East Coast drive. Besides that, my only hope to keep driving while tired is to listen to some awesome music or my books on tape. Great music has an uncanny way of waking me up as I sing along like a diva, and I get so sucked in to listening to audiobooks that the time flies by. Below are my two choices that'll be on repeat during the entire trip. Because, let’s be honest, audiobooks are way too expensive to buy more than one! 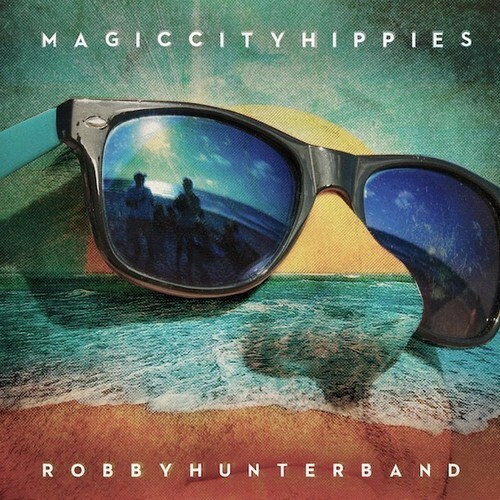 Robby Hunter Band is a group of guys I know back in Miami, and they are CRAZY GOOD. This album actually released last year, but I’m still loving it as much as ever. They have some of the most fun and sultry songs you could ever imagine – perfect for summer. Check them out for yourself above! The Power of Now is a huge book in the field of spirituality and self-improvement, and I feel super behind that I haven’t read it yet! Tolle doesn't preach any particular religion, but instead, guides people to live in the now in order to find our true happiness. That’s as much as I can say at this point, but I’m excited to absorb myself into it along my 3-week journey. Well, there you go! Do you have any methods that keep your mind or body feeling in tip-top shape while you drive long distances? If so, please let us know in the comments below. Any experienced road tripper will tell you that traveling by car definitely isn’t easy, but you’ll see some of the most beautiful sights of your life along the way. So relax, and enjoy the ride! Talk to you soon from my first big destination – Atlanta!